"Bonhoeffer is teaching a few Protestants what it means to say 'yes' to the 20th century and still somehow stay recognizablly Protestant. A look at a few of his seminal ideas will make this clear. 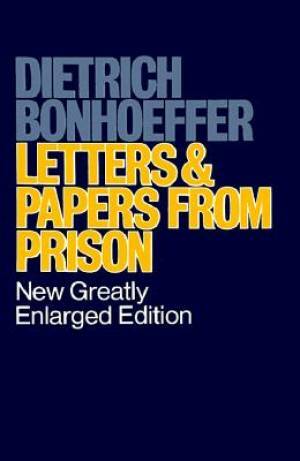 Letters and Papers from Prison by Dietrich Bonhoeffer was published by Simon& Schuster in January 1997 and is our 24081st best seller. The ISBN for Letters and Papers from Prison is 9780684838274. Be the first to review Letters and Papers from Prison! Got a question? No problem! Just click here to ask us about Letters and Papers from Prison.